Are you looking for reliable, and affordable portable generators? 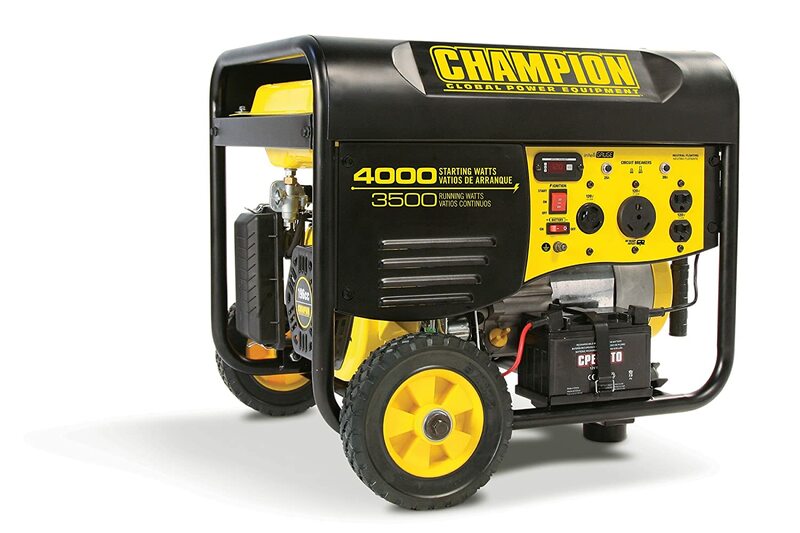 Champion Portable generators are ideal for you. The manufacturer of these commendable generator models, established in 2003, is situated on the shores of America. However, its production units are based in Zhejiang district, China. The location of its production unit explains why Champion Power Equipment produces portable generators more cost-effectively, compared to its competitors. Concerning the quality, and as this champion generator review will show, the generators speak for themselves. They deliver the same cost effectiveness and performance at half the price! Take a look at the chart below, you’ll be able to quickly find out the best champion generator that can fulfill your needs. What is Your Power Needs? Sum up the power ratings of all the devices you are planning to support concurrently. Fortunately for most appliances, their power ratings are indicated on a label attached to the side. Using the running wattage, sum together the ratings of all your appliances. For those devices with no numbers shown, power each singly, noting the power drawn before summing up to obtain the total power. The starting wattage ratings (of all appliances) are somewhat higher than running values. You should, therefore, exercise caution and ensure you use starting wattage in your calculations. If you your gen set cannot provide the starting power, your appliances won’t even start in the first place. In order to facilitate the calculating task, you can use the Wattage Calculator here, just select the items you need whether your power need is for home backup, camping purpose or construction use, you will quickly reveal your truly needed number. Why Choose a Champion Generator Today? Where else can you get an affordable generator that is reliable and durable? 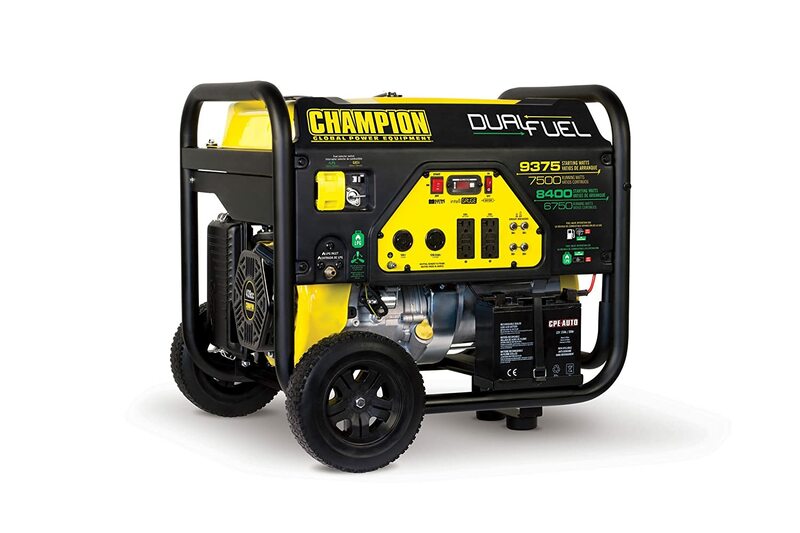 Champion Power Equipment provides what previously appeared to be an elusive combination of reliability, durability, and affordability in all their portable generators. It aims at providing each household with a generator that meets its budget and ideal for the intended purpose. Besides portable generators, Champion produces inverter generators, and heavy duty models perfect for bigger households or even commercial uses. So, regardless of your ambitions, aspirations rest assured you will find the generator of your desire made by Champion. Champion generators are of diverse shapes and styles appropriate for various situations and purposes. Additionally, all their generators are typically portable because quite a good number of them come with a wheel kit. Just add the wheel kit to the frame of your Champion generator and take its portability to the next level. Consequently, even their heavy duty models are reasonably portable yet, produce as high as 7500 W of starting power. Some even feature a remote electric start for increased flexibility. What extra generator features would you ask from a manufacturer that offers all the above in its high-quality competitively-priced generators? That is not all. Read on. 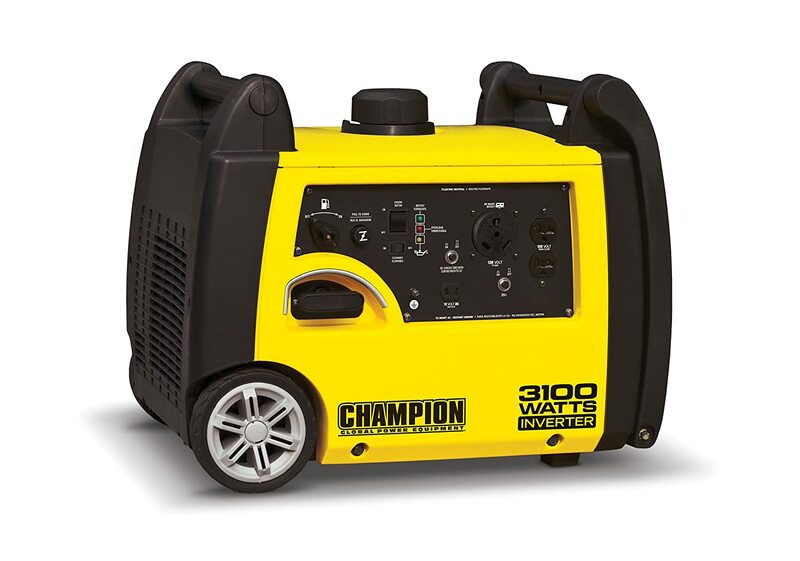 Champion’s smaller generators produce as high as 1200 continuous watts and an extra 300 W of surge protection. Imagine getting an extra 10 hours of run time at half-load irrespective of the size of generator you need! Remarkable run-time, particularly for the smaller, more portable generator models is one feature many portable generator users will find irresistible. Invest in a Champion inverter generator that meets your output requirements now, and take advantage of their impressive performance. All generators Champion manufacturers comes with a limited warranty extending a whopping two years. The warranty affirms the confidence the company has in the performance, quality and durability of its generators. It shows Champion portable generators have been factory-tested and confirmed to operate optimally for very many years. Serving a market where some other players extend shorter warranty at a price that of Champion goes ahead to demonstrate the commitment by Champion to stay ahead of the competition. The crucial feature putting Champion generators in a league of its own has to be the inclusion of Intelligauge. It offers a fast reading of volts, frequency and operating hours, enabling a user to track these important generator elements. With such info, you can accurately service and maintain your generator thereby ensuring it always remains in good working conditions. 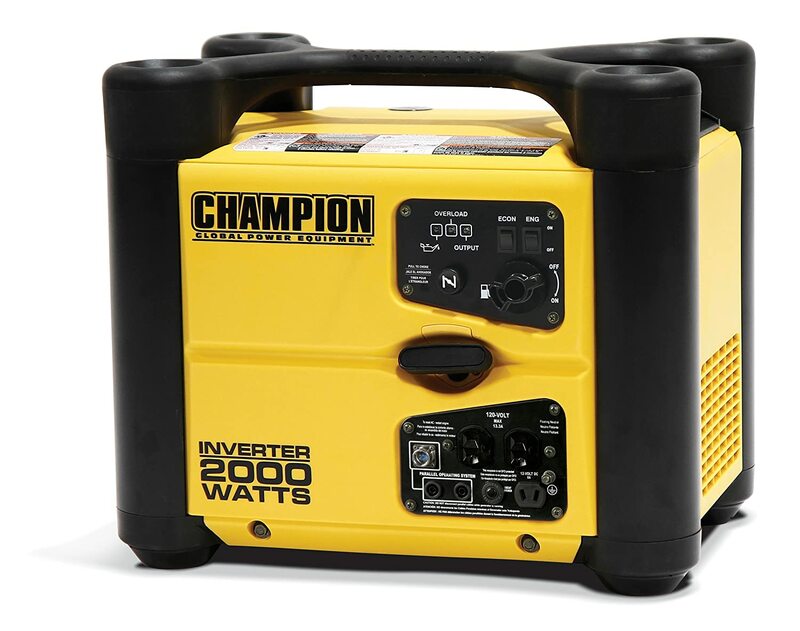 Four period lines, starting from 2000 W ultra-light portables to 7500 W heavy duty portable: Are you worried about not finding a Champion generator that will best suit you? Worry not. In recognition of the fact different users require different levels output power; Champion has endeavored to provide an entire range of generators. You can, thus, be sure that there is a portable Champion generator ideal for you. The company has the interests of all. Strict testing, quality assurance measures and pre-delivery best practices: It is advisable to acquire a generator from a manufacturer who has a history of passing their units through quality control measures. Champion has instituted strategies to ensure their generators are of the ultimate quality and has absolutely no craftsmanship fault. So, immediately a generator is manufactured, it is passed through some procedures aimed at identifying any fault in the unit. Such measures reassure that there is no possibility of any random champion generator breaking down due to dexterity-related issues. Provided you take good care of your Champion generator (service and maintain regularly) it will perform optimally, always. Friendly, round the clock customer support accessible through the phone numbers, emails or chat platforms: Always buy from a supplier with readily available customer care representatives. The support should be ready to walk with your every step of the way, right from purchase to the use of the generator. Champion Power Equipment scores favorably in this aspect. Its customer care support is simply incredible. Additionally, it can be accessed through all the ordinary means of communication and is available any time of day or night. A uniform, bright yellow color on all genuine Champion products: Using a counterfeit spare part while repairing a generator is ripe for disaster. Therefore, the manufacturer should make it easy for you to avoid doing so. Champion has adopted a uniform bright yellow color in all its genuine parts. Hence, it is very easy for you to identify an original part. The effort, therefore, goes a long way in ensuring you get value for money while maintaining your generator. Affordable spare parts and high fuel efficiency: Another important characteristic you should pay attention to is affordability of the parts. Your generator will at one time require some components. When replacing the part, using a genuine one goes a long way in ensuring your generator operates safely and normally. For the reasons explained earlier, Champion parts are affordable. The generators are also fuel-efficient, an aspect that implies operating costs of Champion generators are extremely economical. This Champion generator review clearly shows Champion generators outshine their competitors in reliability and total cost, composed of the cost of acquisition, operation, repair and maintenance. They also have exceptional quality and reliability. Add their attractive generator attributes to good customer care support, and you have a brand to count on. Are you are looking for an easy to maintain generator that will deliver dependable performance for an extended period of time? 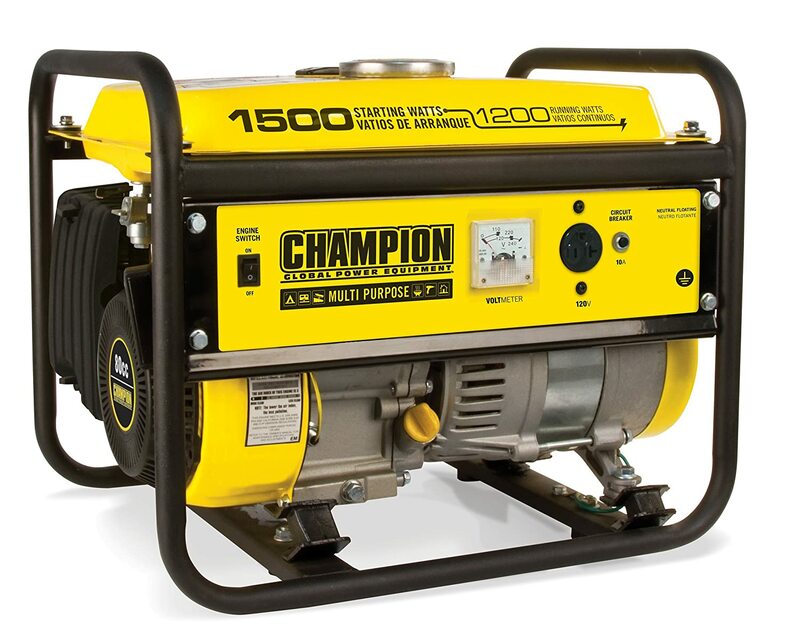 A Champion portable generator is perfect for you. Read the detail review of each model above to find the best one for your needs.